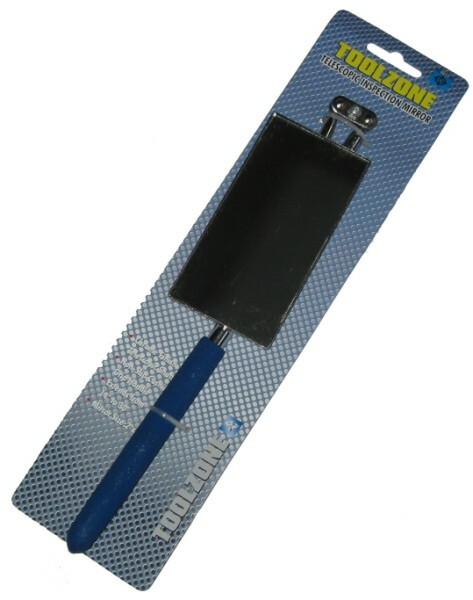 Telescopic inspection mirror from Toolzone Tools. 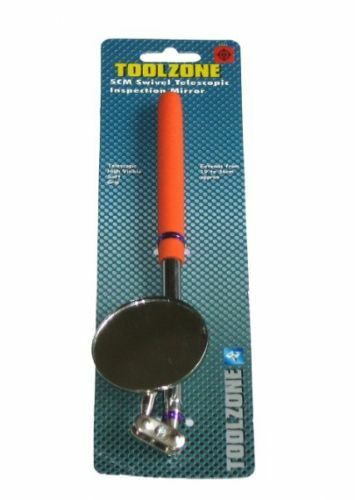 A very handy inspection mirror with a telescopic shaft that extends from 14" to 30". Mirror size 2" x 4", chrome finish with a non-slip cushion grip handle. A perfect addition to any toolbox or workshop.